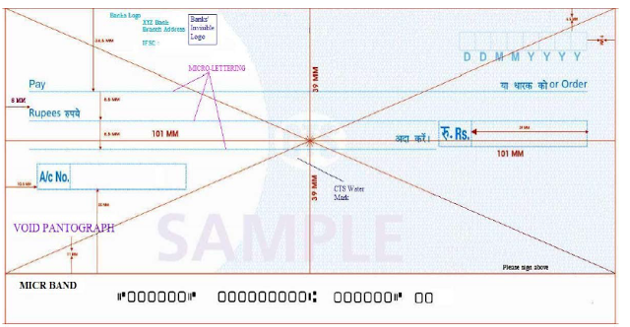 Cheque Truncation System (CTS) aims to make cheque clearance more efficient and reduce the clearance time of cheques to one day, thereby trimming down the floating time considerably. India processes as many as 1.2 billions cheques annually and therefore, the implementation of this system would drastically cut down the waiting period involved. The system will be implemented nationwide from April 1, 2013. In cases where customers have issues post-dated cheques (PDC) for payment of monthly installments towards an ongoing loan, they would need to issue fresh cheques to the bank or service provider as per the new directive on CTS by the RBI. The replacement of these cheques needs to be done latest by April 1, 2013 and is applicable on all banks and NBFCs.